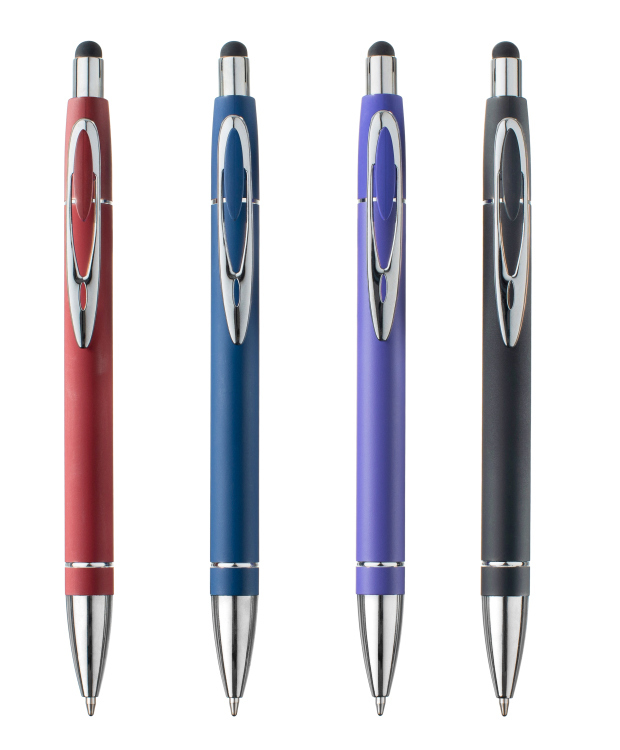 The iWriter Exec Soft Touch Rubberized Metal Ball Point Pen with stylus has a sleek, colored metal body, black ball point ink and a stylus that can be used on any touch screen device! 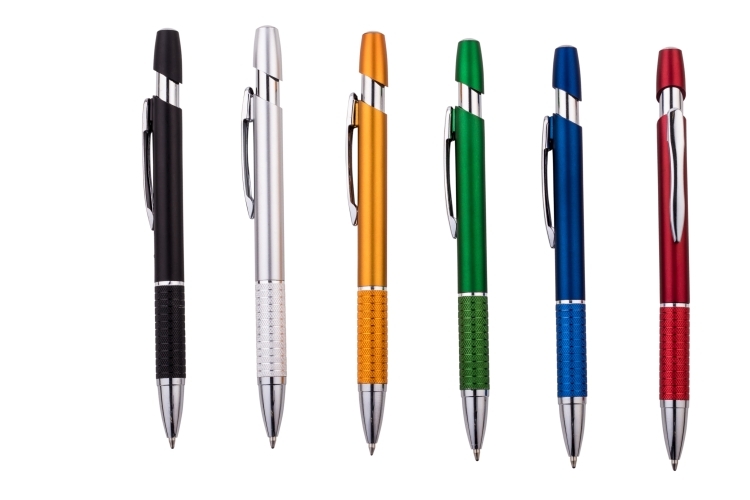 This colorful mini stylus pen has a black pocket clip. 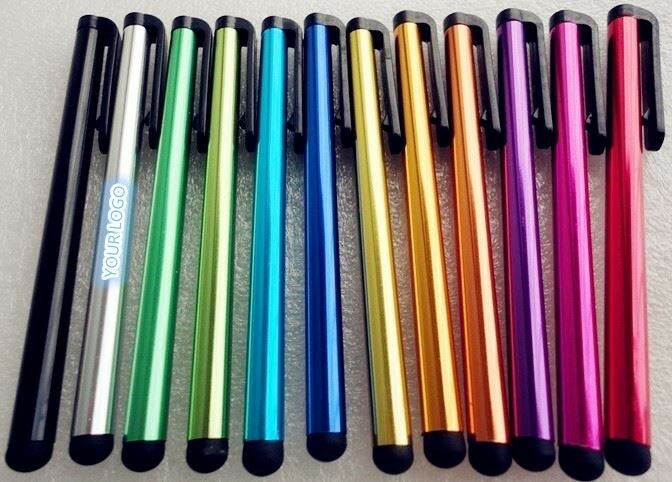 Rubber pad stylus with capacitive screens technology. 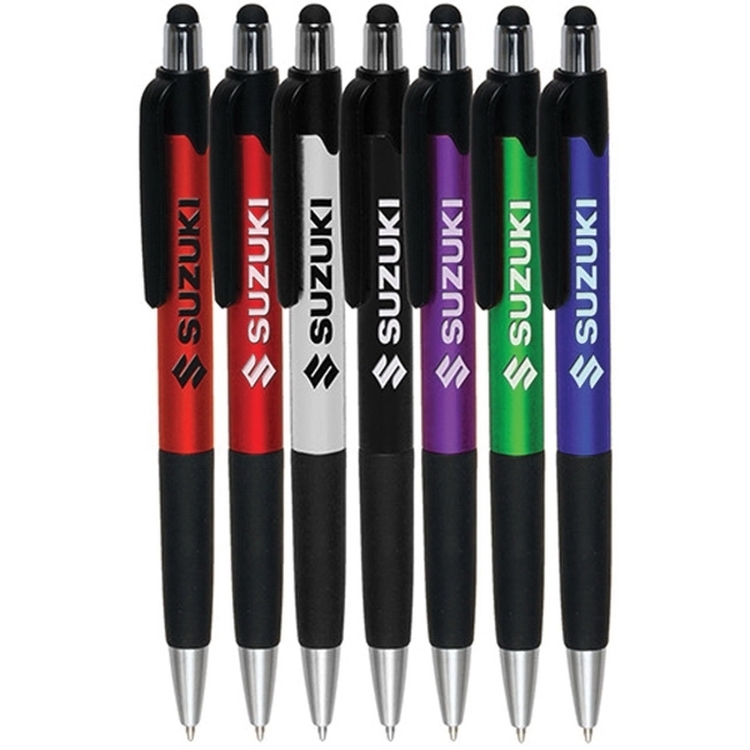 Stylus only, no ink inside of the pen. Overseas, any customized logo will be welcome. 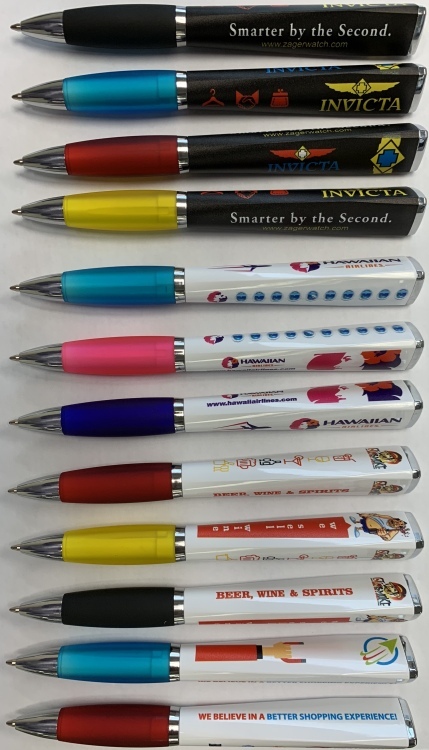 The price include one color laser printing logo. 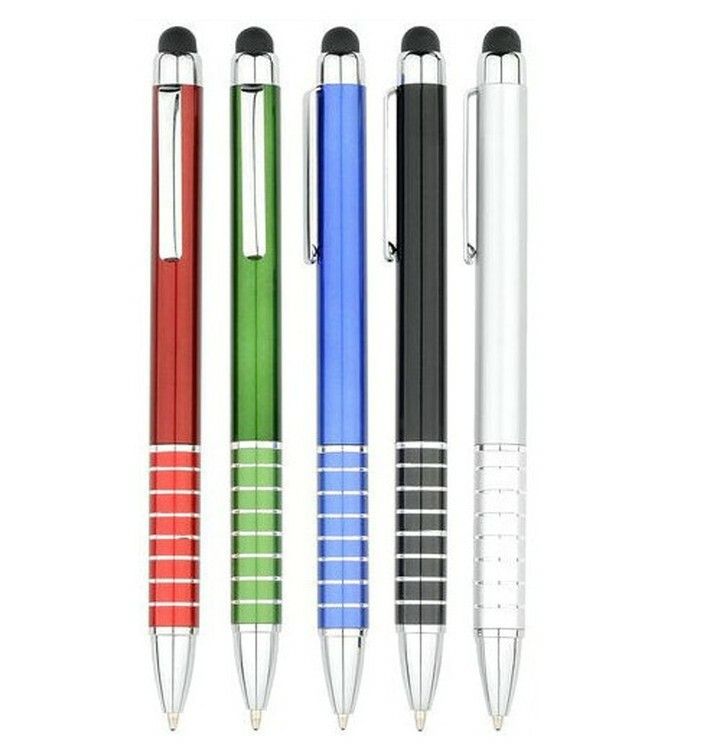 Metal pen with blue or black ink. 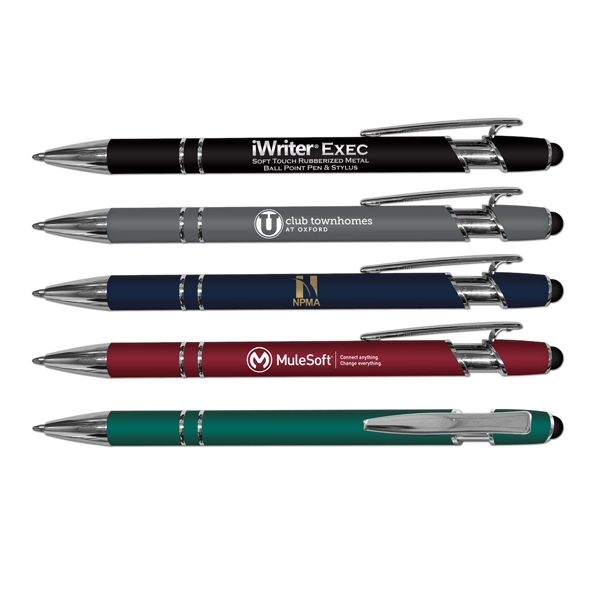 A great promotional product for businesses and banks, these pens can either be screen printed or laser engraved with your logo.